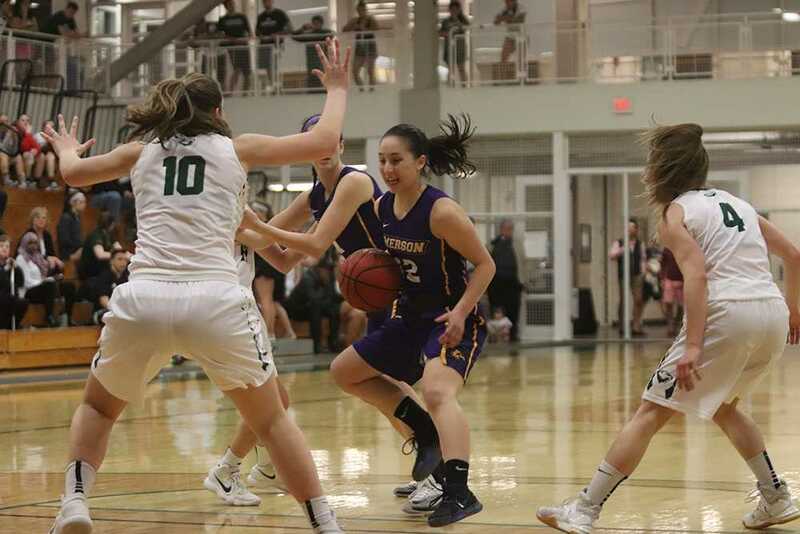 Babson College proved too much for Emerson women’s basketball team as the Lions lost 85-57 in the quarterfinals of the New England Women’s and Men’s Athletic Conference playoffs Wednesday night. This was the women’s basketball team’s first playoff appearance since the 2014-15 season, when they lost to Wheaton College in the quarterfinals. Head coach Bill Gould said he will not let the loss overshadow his team’s achievements this season. Both teams started slowly, as the score was locked at 2-2 after the first two minutes. 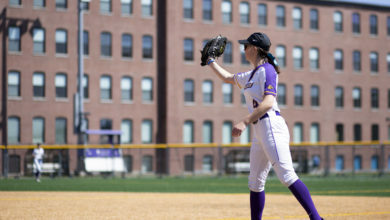 Babson took advantage after earning three steals on three consecutive plays to bring the score to 6-2. The Beavers led at halftime by a score of 52-20 and shot 21-of-36 from the field along with a 70 percent shooting percentage from beyond the arc in the first half. The Beavers were led by junior Katherine Tamulionis, who scored 19 points on 8-of-10 shooting and shot 3-of-3 from beyond the arc. Junior Payton Ouimette scored 10 points on 5-of-8 shooting, added six rebounds, and tied for the lead in steals with four. Emerson’s game early on focused around the perimeter, as 11 of its 28 shots in the first half came from beyond the arc. This was the Lions’ downfall in the first half, as they shot 2-of-11 from long range. The second quarter proved especially tough for the Lions as they only managed seven points. Senior Maya Savino said the team’s early struggles came down to inexperience in the postseason. The Lions came out stronger in the second half, as they outscored the Beavers 37-33 in the third and fourth quarters combined. Sophomore Quinn Madden scored eight of her team-leading 12 points in the second half. Madden said that the team’s performance in the second half came down to a change in mindset. Gould said he was impressed with the way his team bounced back in the second half. “Once we righted that ship, I thought we played right with them and we played well. And if we could have done that the whole game, it would have been a much more competitive game,” Gould said. 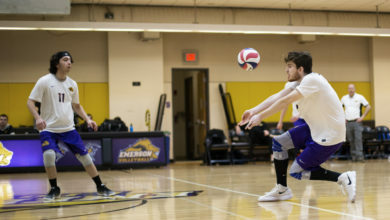 One turning point came in the third quarter when junior Charlie Boyle left the game after colliding with a Babson player. Boyle exited the court limping and spent the remainder of the quarter jogging behind the bench. With Boyle off the court, Babson took a 34-point lead—its largest of the game. Boyle returned in the fourth quarter and ended the game with 11 points on 5-of-6 shooting with five rebounds. Gould said the team faced a tough challenge after losing Boyle. With 1:08 remaining, seniors Ashby and Savino exited the game for the final time in their Emerson careers. 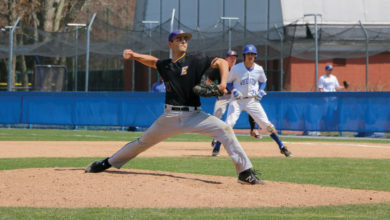 Savino said that although they lost the game, the team focused on making it a enjoyable occasion.